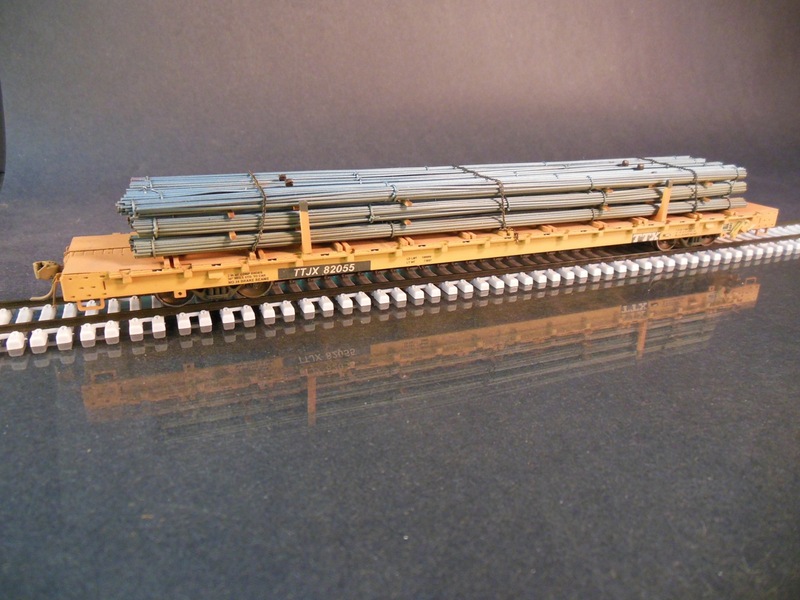 Atlas HO scale 89′ flatcar with hydro-formed steel truck frames. 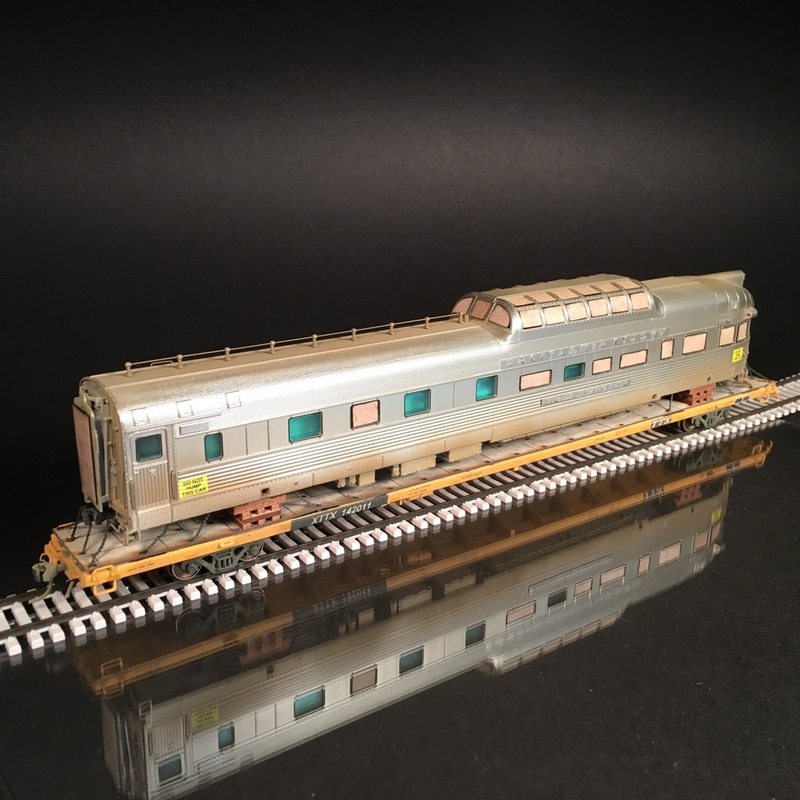 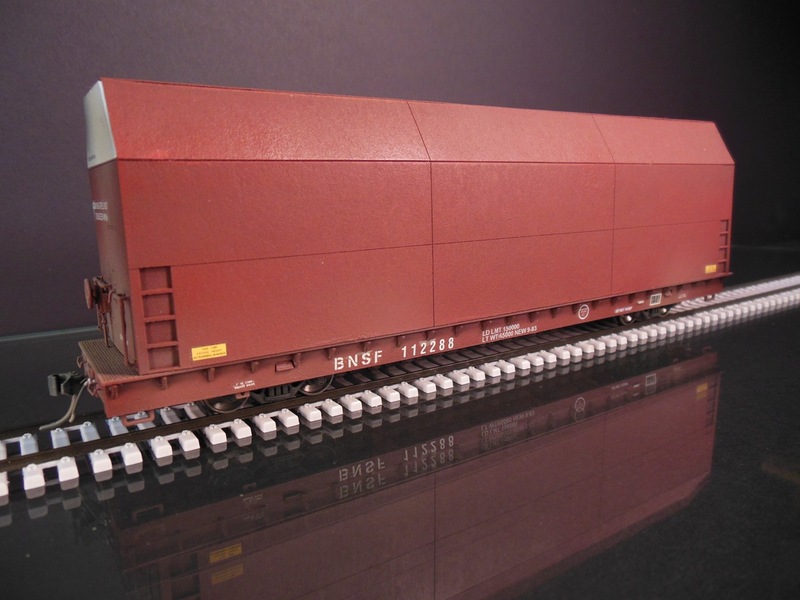 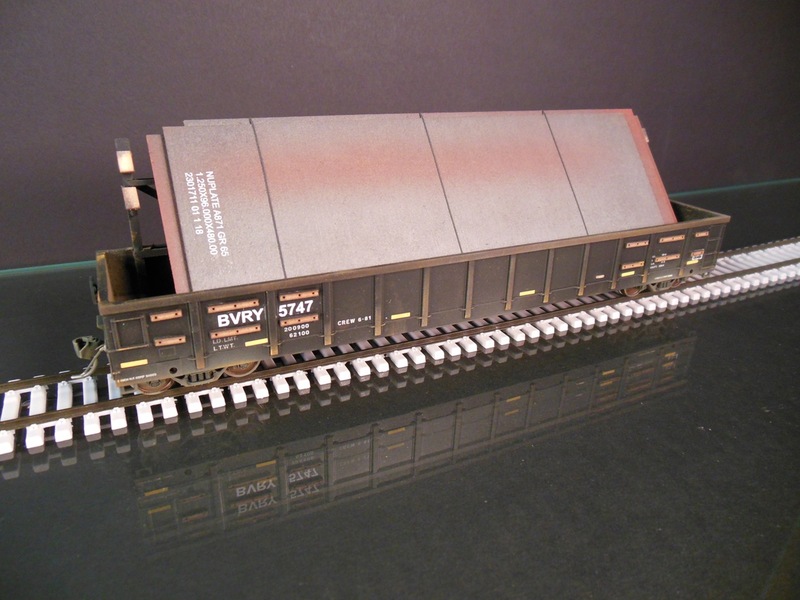 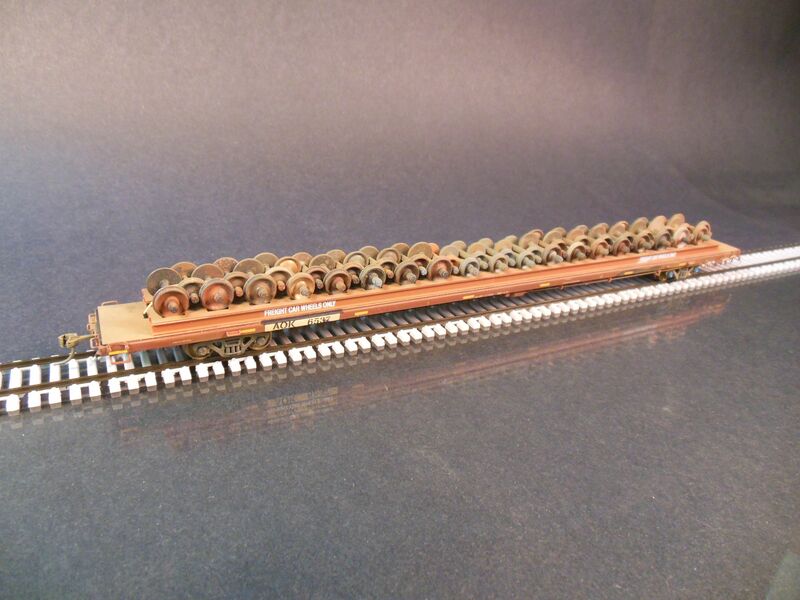 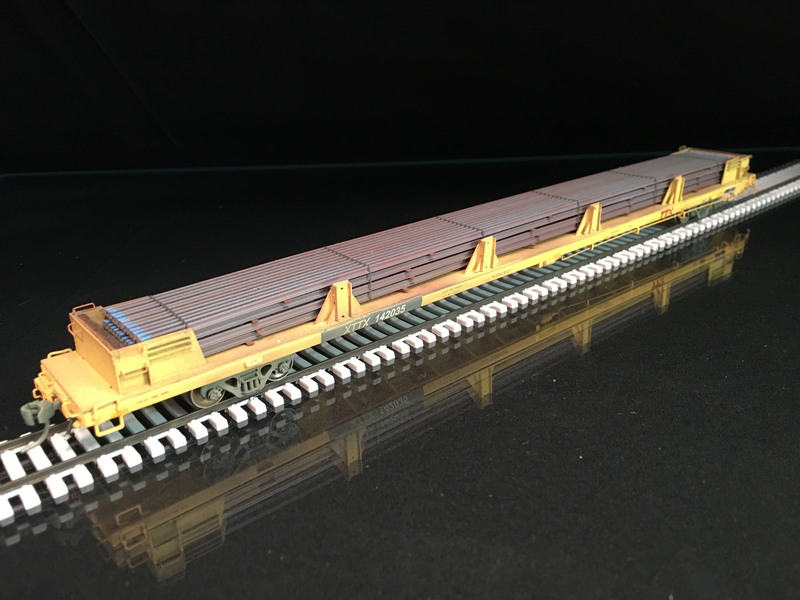 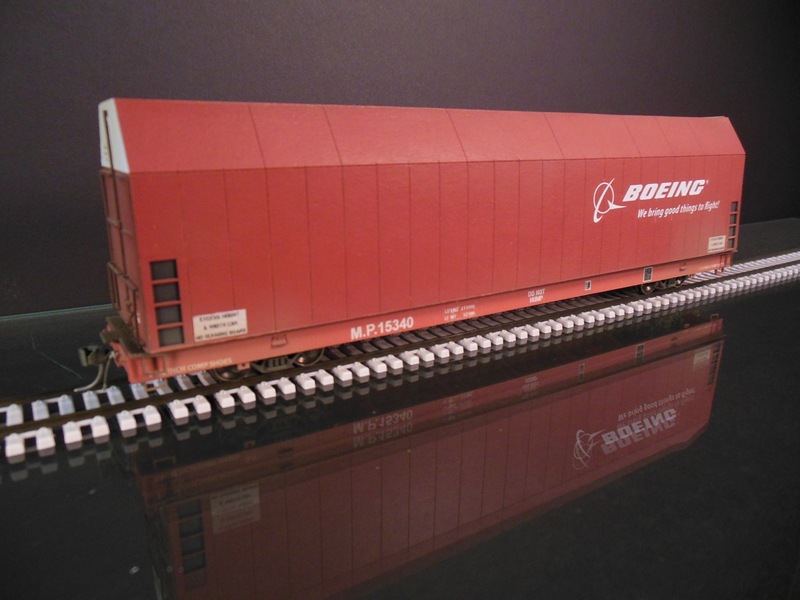 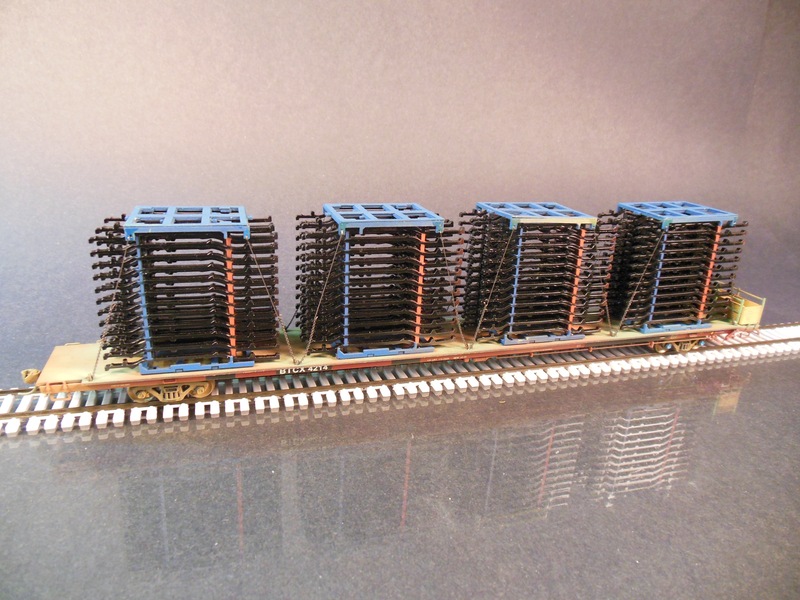 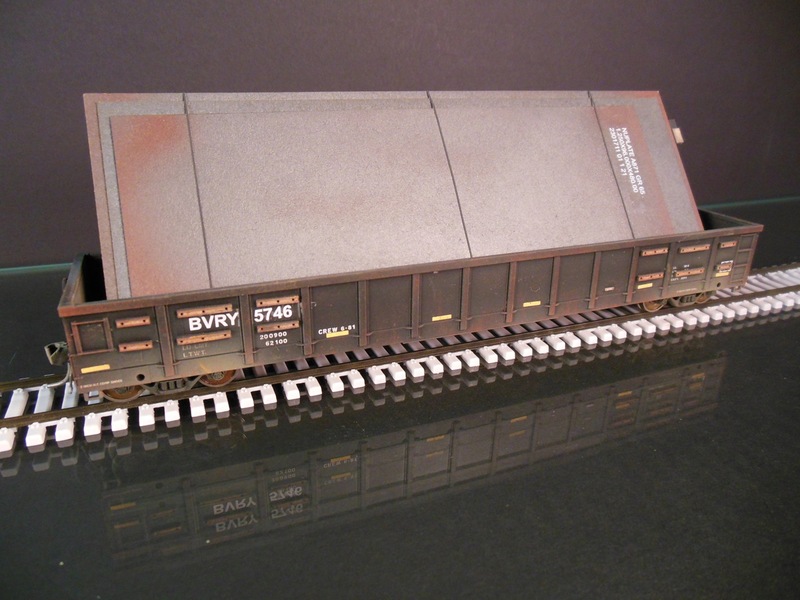 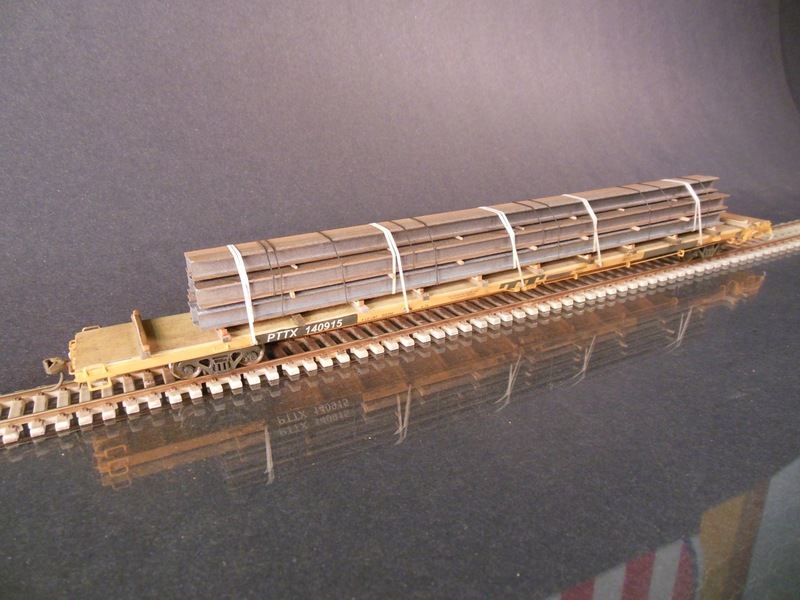 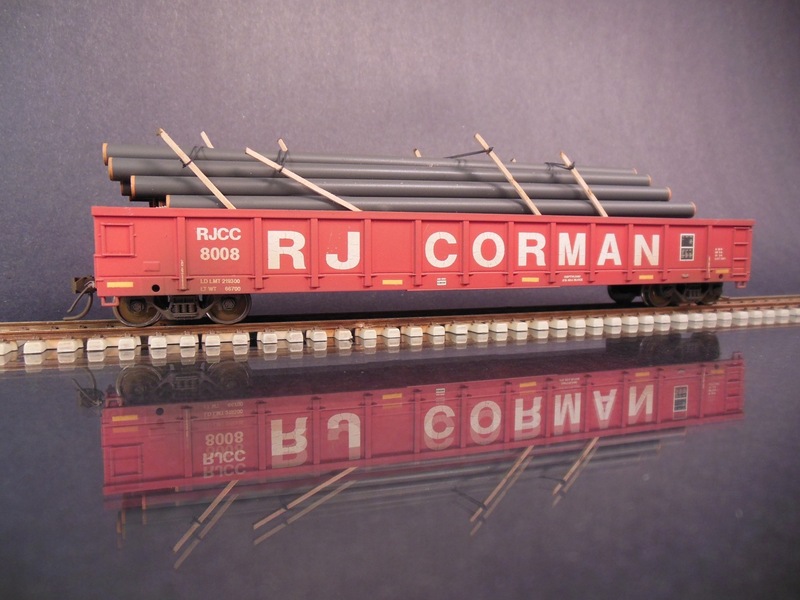 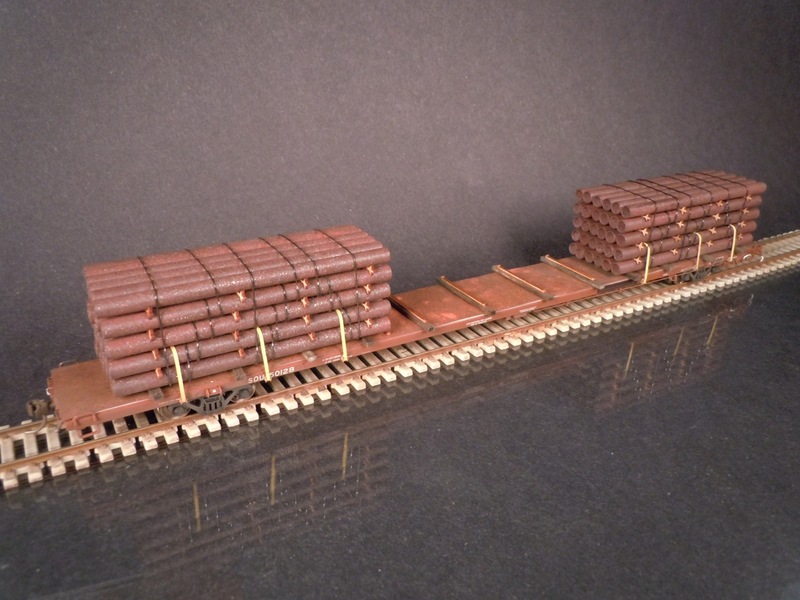 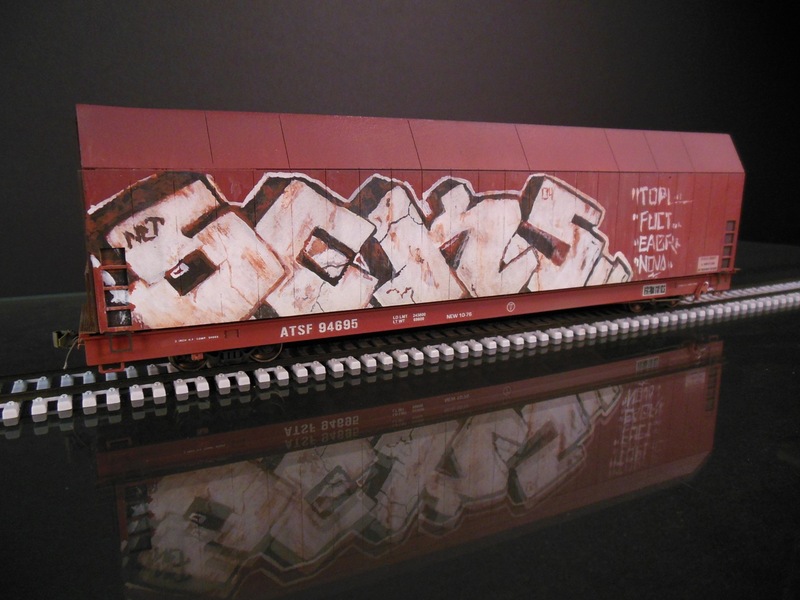 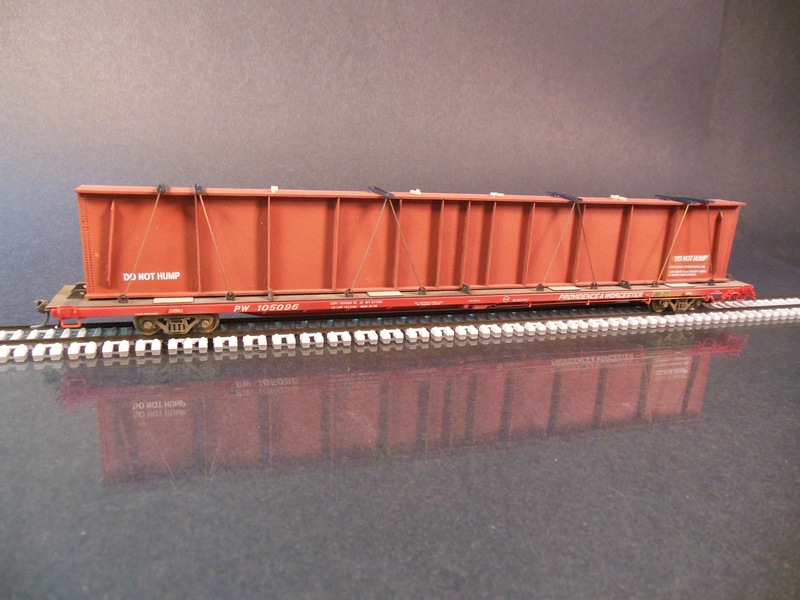 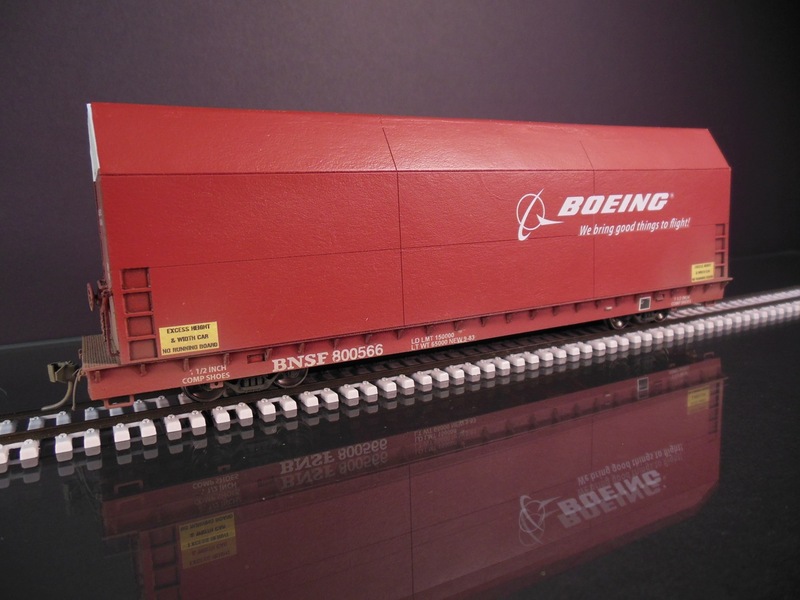 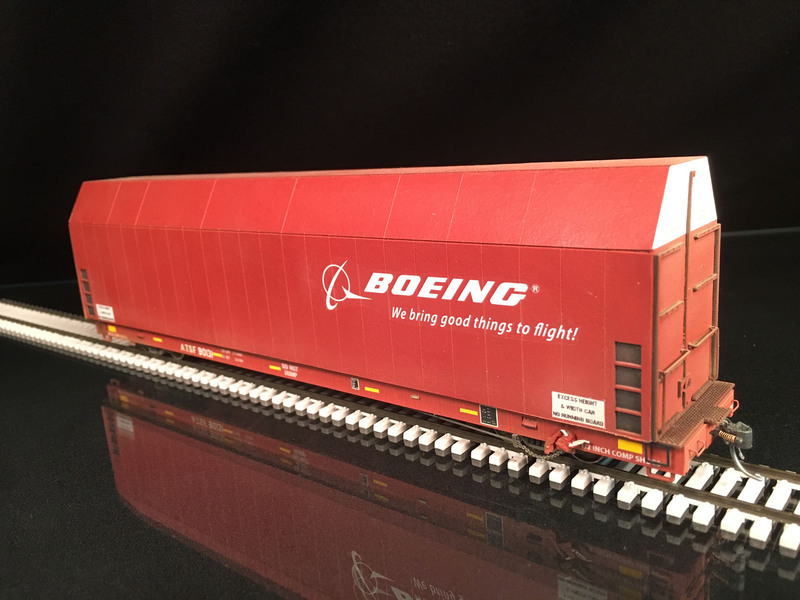 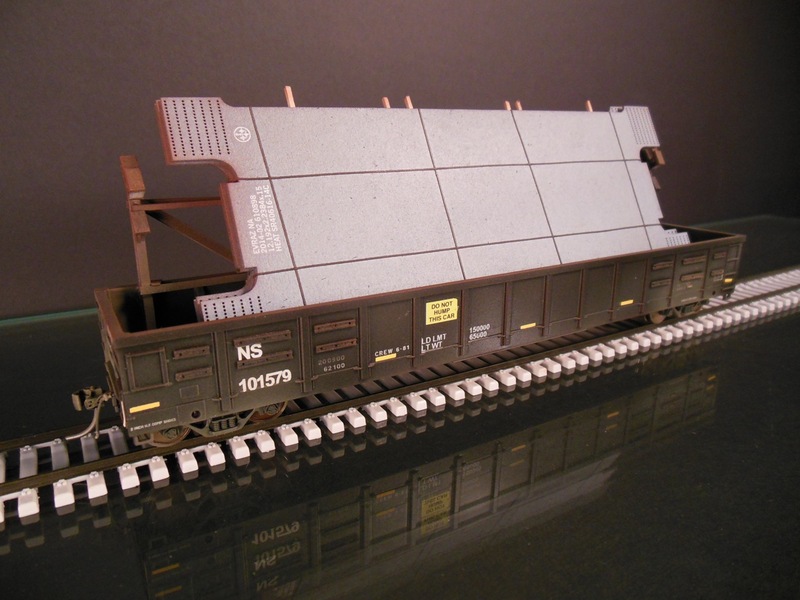 Atlas HO scale 89′ flatcar with manufactured steel beams. 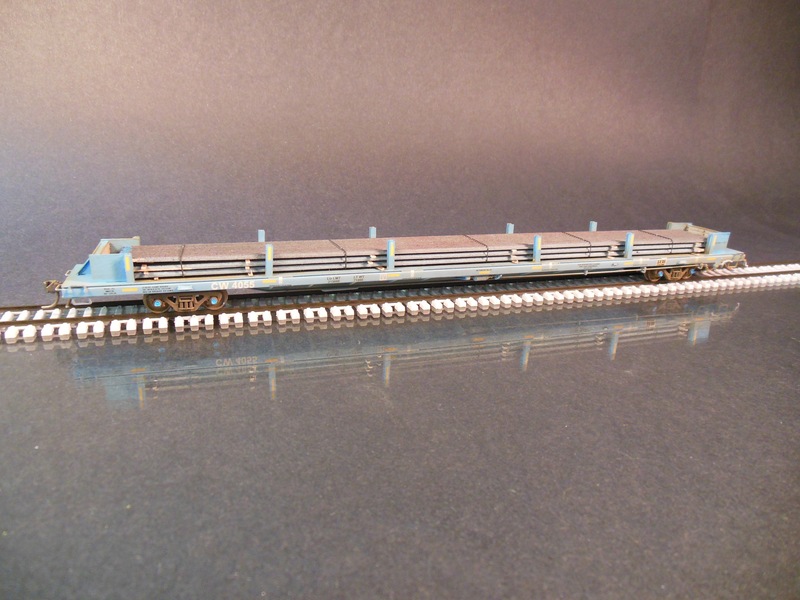 Atlas HO scale 89′ flatcar with new steel rail. 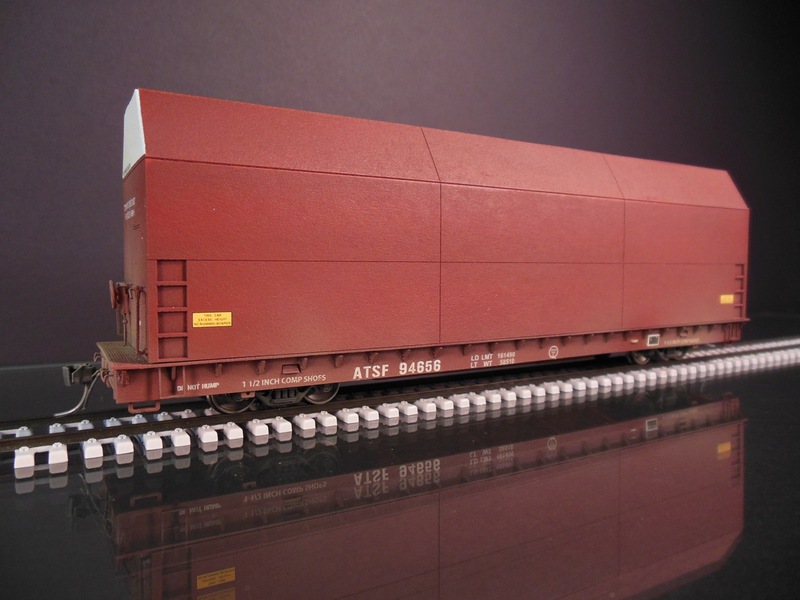 Atlas HO scale 89′ flatcar with steel wheel sets.